Tin Can Bay ladies made their presence known when the committee members played at Noosa last month to open the District’s season of golf between the clubs. There was a second place in Division 1 by Julie Mulhall, a win in Division 2 by Patsy Brady and second place in Division 3 by Jenny Skuja. The Vets’ season is well underway with visits in February to Maroochy River and to Hervey Bay on March 5. 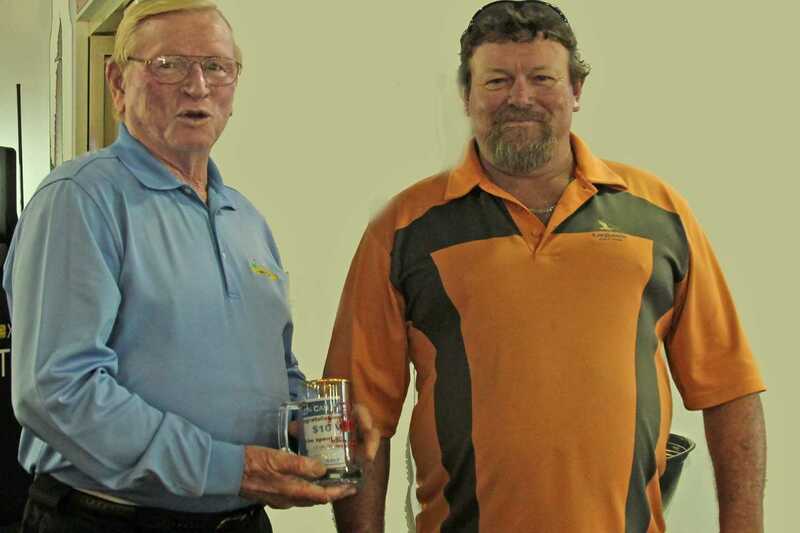 Tin Can Bay will host the Cooroy Club on March 13 and Coolum Club on March 20. Men’s Div 1: Julian Godfrey 66 nett. Div 2: Bob Gray 64 nett. Div 3: Blaik Reibel. Vets’ Div 1: Chris Eyre 66 nett. Div 2: Brian Burton 67 nett. Div 3: Danny Kay 70 nett. Ladies’ Div 1: Laurel Edwards 75 nett. Div 2: Ros Wheeler 74 nett. Bill Blackshaw showed his accuracy prowess on the ninth tee during the Vets’ competition on February 13. His hole-in-one also sets the record for the new tee now in play after renovations. Enjoy that bottle of scotch, Bill. For all information on our competitions and availability for social play, check the website www.tcbcc.com.au or call the starters’ box on 0484 005 266.